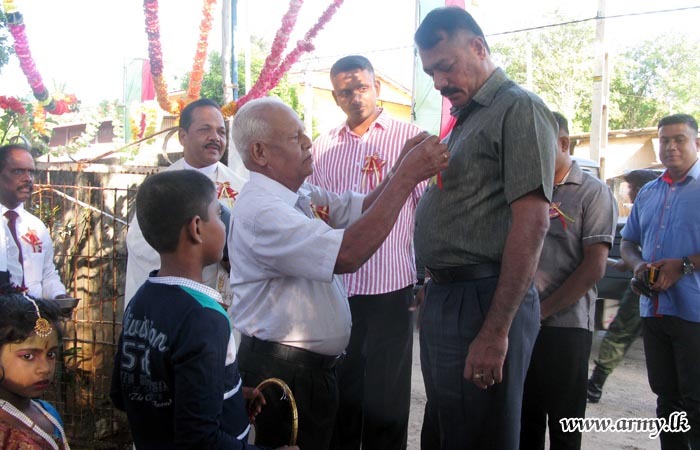 The Sri Lankan military continued to intrude on Christmas festivities in Jaffna this month, despite government pledges to withdraw the military from civilian activities. 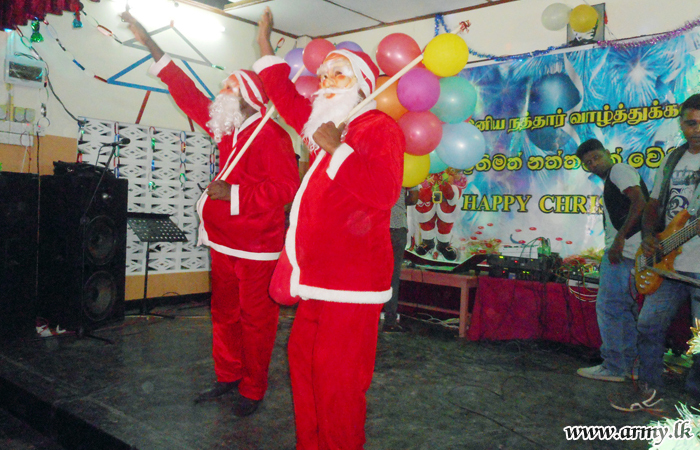 In Valvettithurai, Sri Lankan soldiers were present at an event held at the Church of South India, where a military website said they were “adding their share to the spirits of Christmas”. Senior military doctors were chief guests at the event. 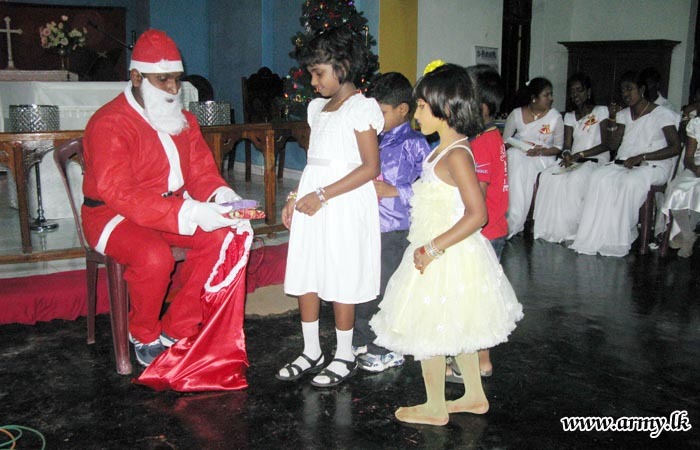 A soldier dressed as Santa Claus then handed gifts to Tamil school children. 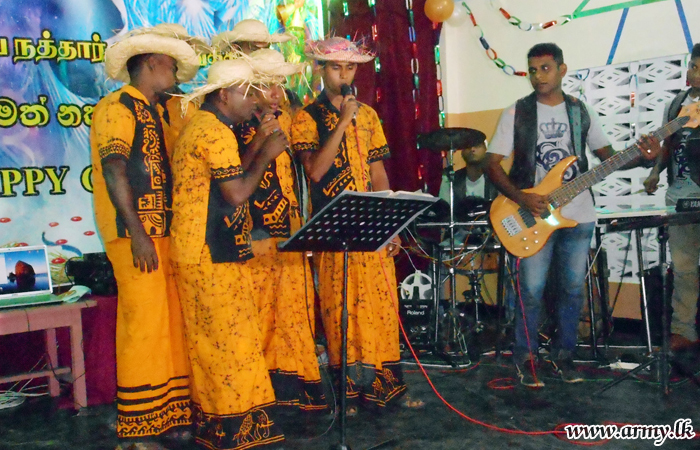 Meanwhile in Chavakachcheri, Sri Lankan troops also appeared at a ‘Pride of India’ Church event, where they recited carols in Sinhalese. More soldiers also distributed gifts to Tamil schoolchildren. The events come despite repeated criticism of the military for its involvement in civilian activities in the North-East, which continues despite government pledges to cease such involvement. The military’s massive military presence has had an impact on almost all sectors of civilian life. In particular, there has been concern over the military’s presence in places such as Tamil schools in the North-East. Areas such as Mullaitivu, in particular are heavily militarised, with a report by the Adayaalam Centre for Policy Research (ACPR) and People for Equality and Relief in Lanka (PEARL), finding a t least one Sri Lankan soldier for every two civilians living in the district.“The shadow cast by the military in Mullaitivu District has become so engrained in the Tamil conscience that it has normalised this abnormal occupation and caused Tamil communities to internalise oppression from the security forces,” said the report earlier this year.